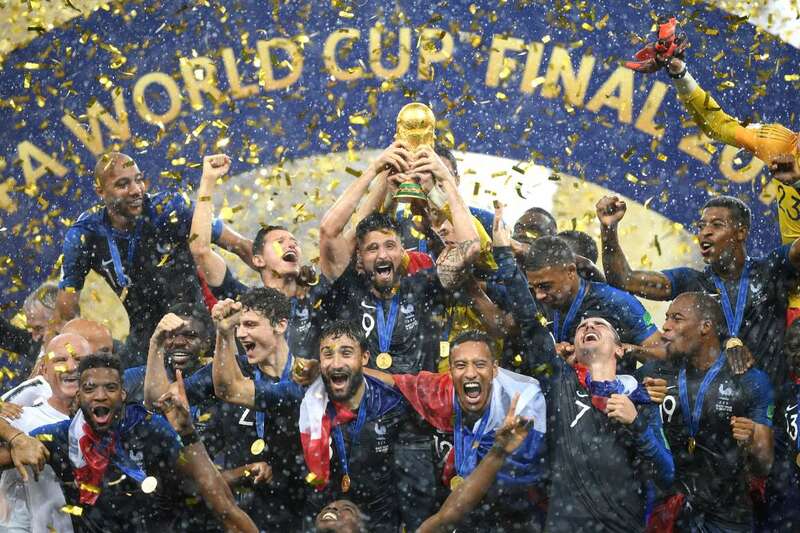 France players celebrate winning the World Cup following the World Cup final against Croatia on Sunday in Moscow. France won the match 4-2. 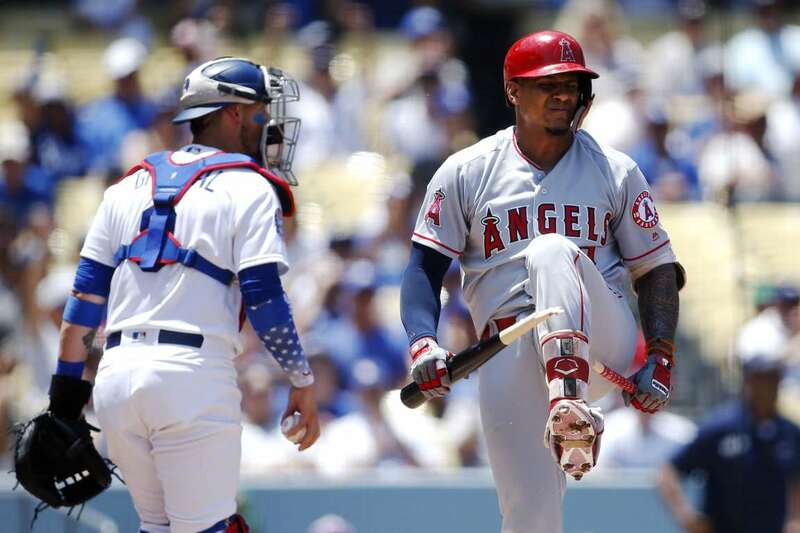 Angels' Jefry Marte breaks his bat after striking out in front of Dodgers catcher Yasmani Grandal on Sunday, in Los Angeles. The Dodgers won 5-3. 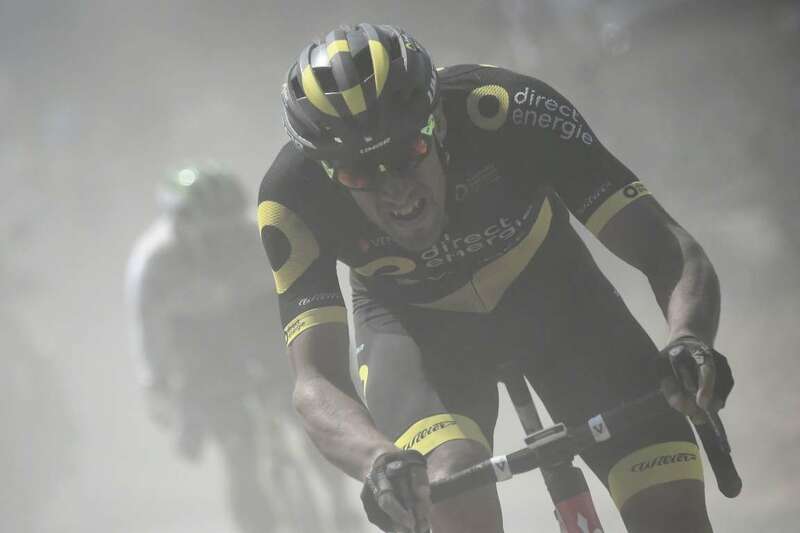 France's Damien Gaudin leads a two-men breakaway through the dust of a cobblestone section during the Tour de France cycling race between Arras and Roubaix, on Sunday in northern France. 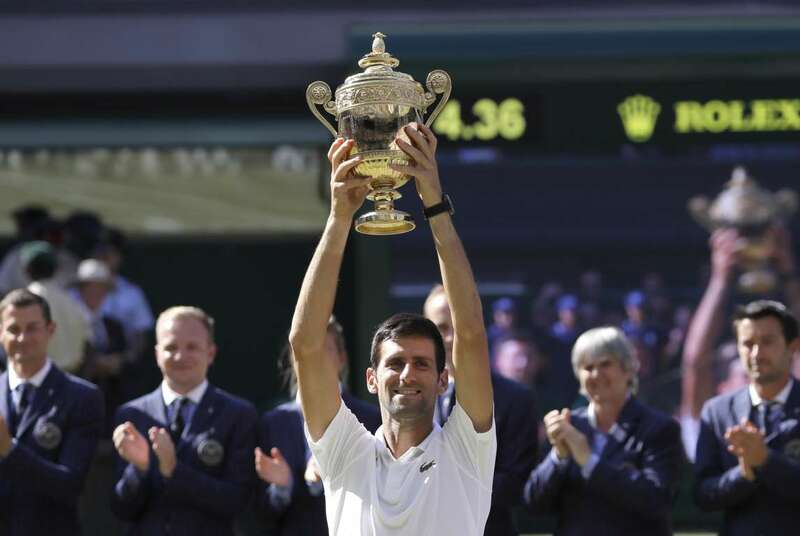 Novak Djokovic celebrates with the trophy after winning the singles final of the Wimbledon Championships against Kevin Anderson, on Sunday in London. Djokovic won 6-2, 6-2, 7-6 (7-3). 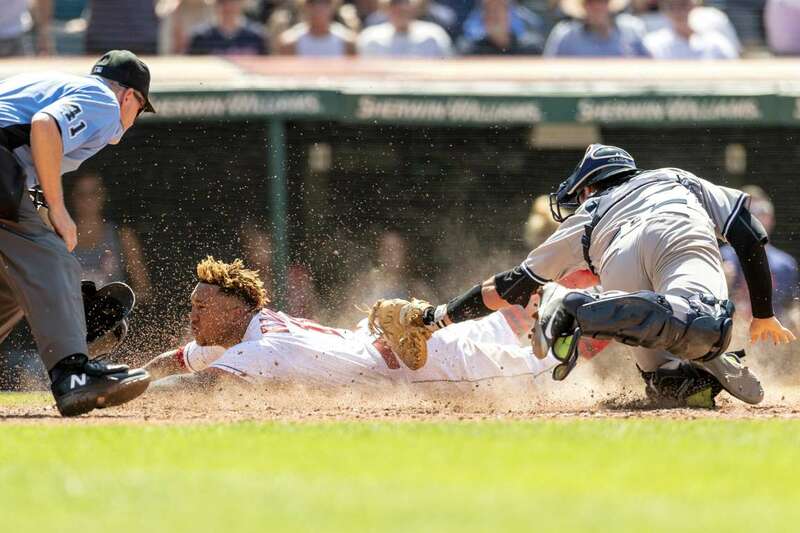 Cleveland's Jose Ramirez eludes the tag of the Yankees catcher Kyle Higashioka on Sunday, in Cleveland, OH. The host Indians won 5-2. 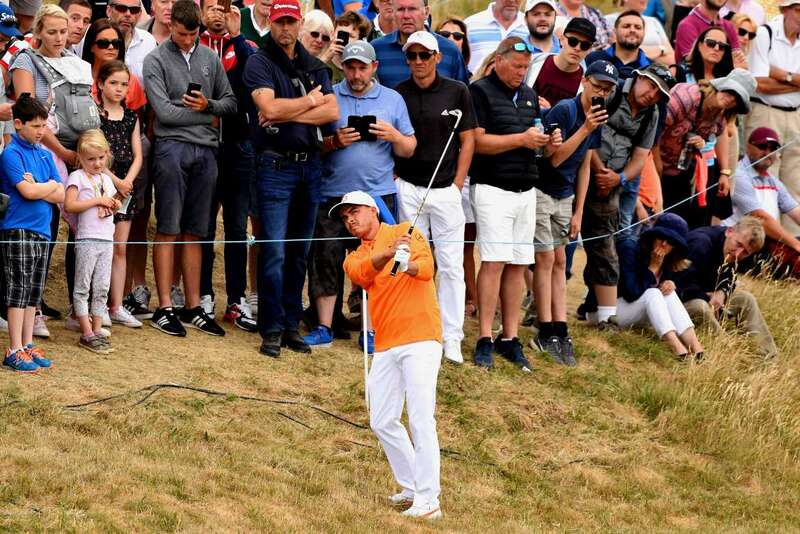 Rickie Fowler plays out of the rough during day the Scottish Open on Sunday, in Gullane. 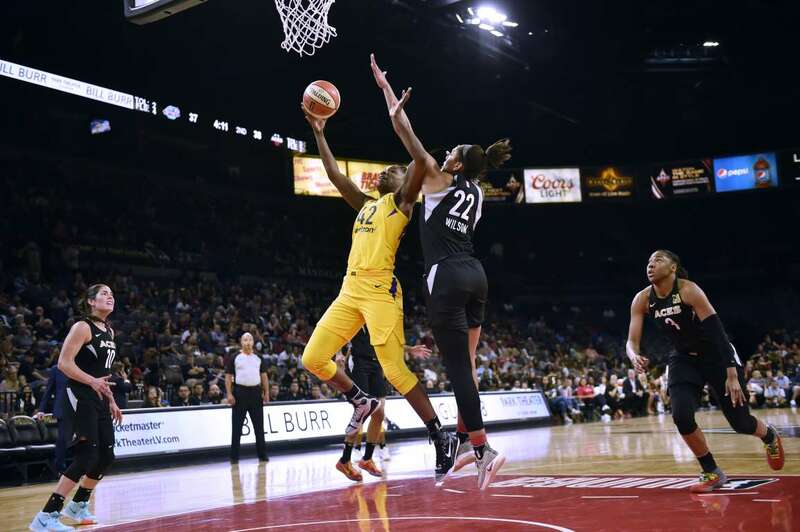 Jantel Lavender of the Los Angeles Sparks goes to the basket against the Las Vegas Aces on Sunday in Las Vegas, Nevada. 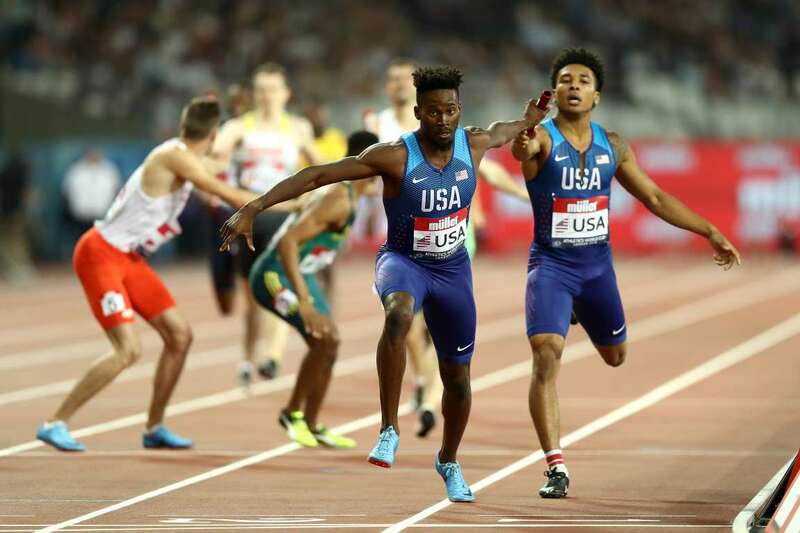 US team pass the baton in the 4x400m Relay during Athletics World Cup on Sunday in London. 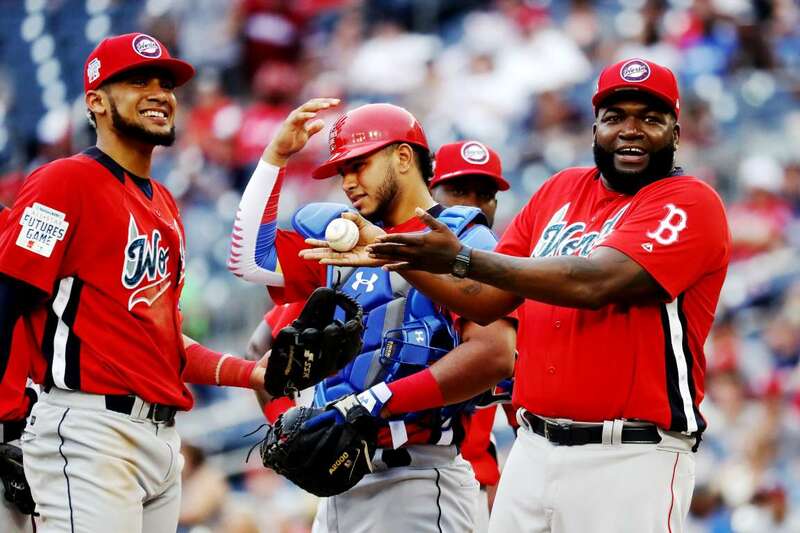 Manager David Ortiz of the World Team gestures during a pitching change against the U.S. 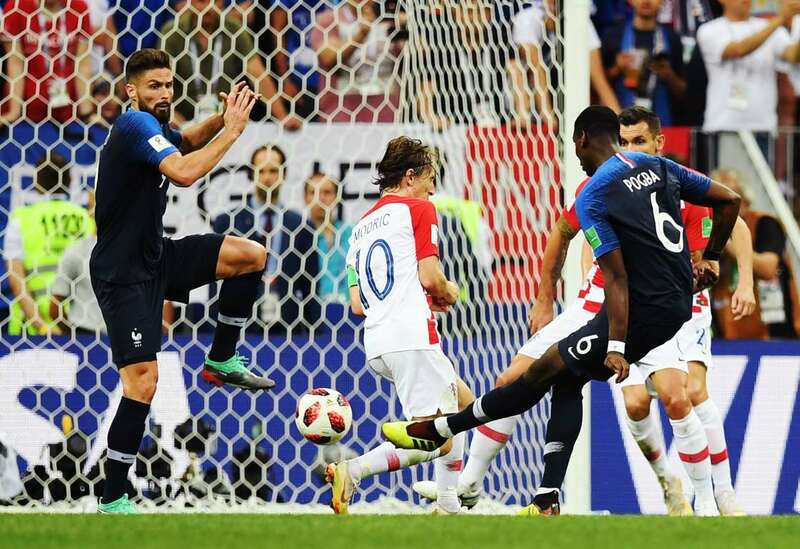 Team in the All-Star Futures Game on Sunday in Washington, D.C.
Paul Pogba of France scores his team's third goal during the World Cup Final between against Croatia on Sunday in Moscow, Russia. 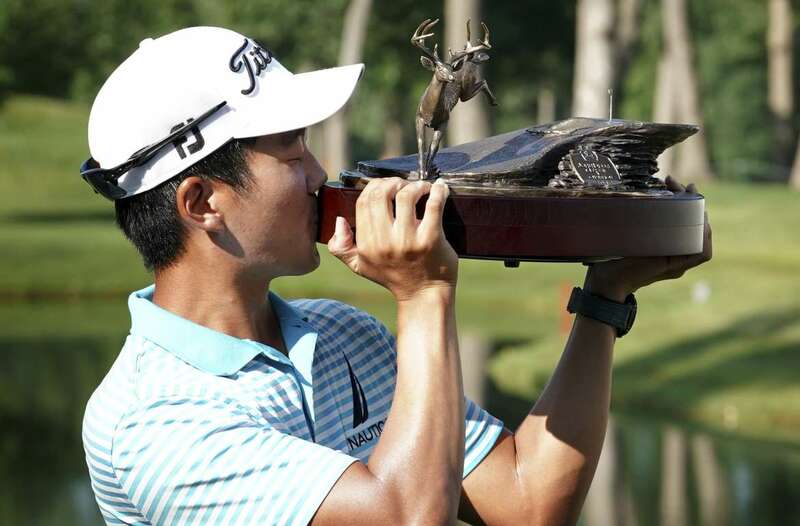 Michael Kim kisses the trophy after winning the John Deere Classic golf tournament, on Sunday in Silvis, Illinois. 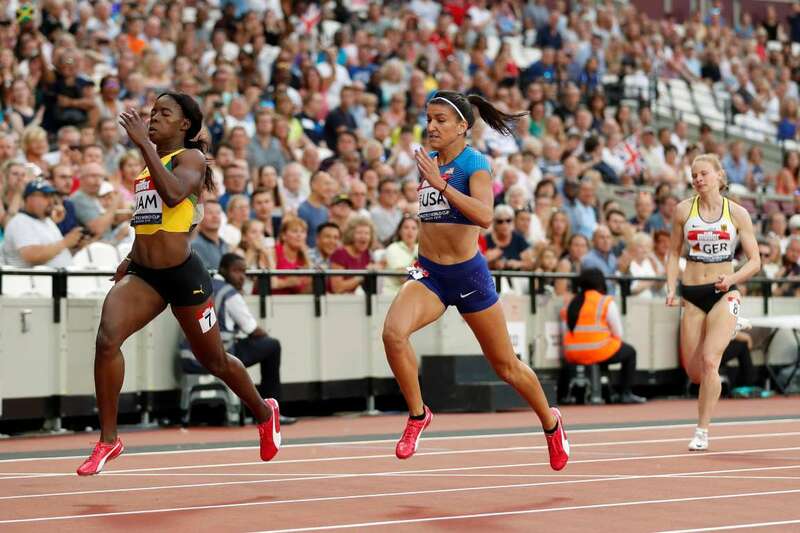 Jamaica's Shericka Jackson wins the 200m as Jenna Prandini of US finishes second during the Athletics World Cup on Sunday in London. 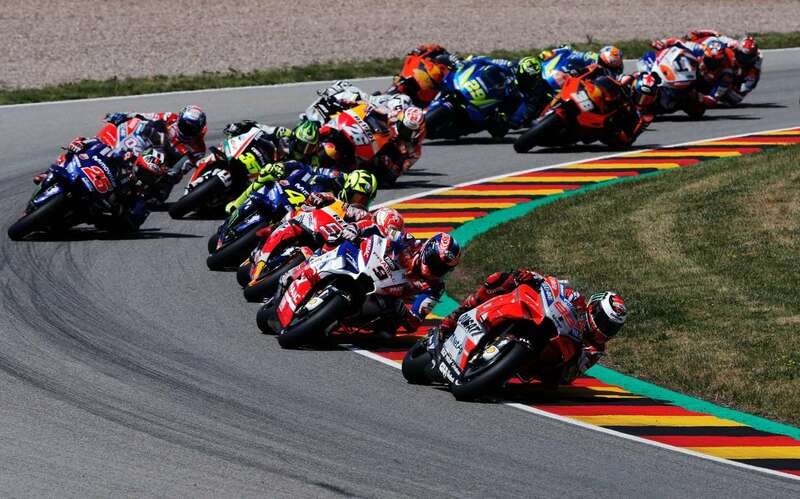 Jorge Lorenzo of Spain and Ducati Team leads on the first lap during the MotoGP of Germany at Sachsenring Circuit on Sunday, in Hohenstein-Ernstthal. 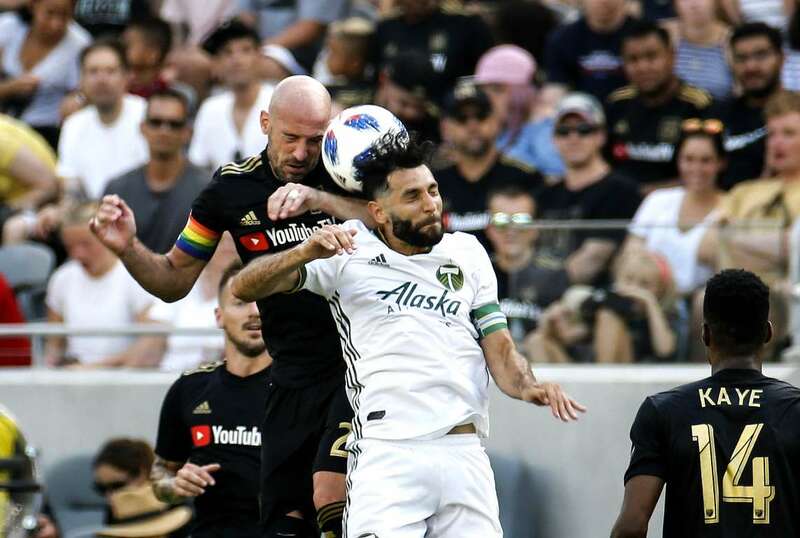 Los Angeles FC defender Laurent Ciman (left) and Portland Timbers midfielder Diego Valeri (center) battle for a head ball on Sunday, in Los Angeles. The game ended in a 0-0 draw. 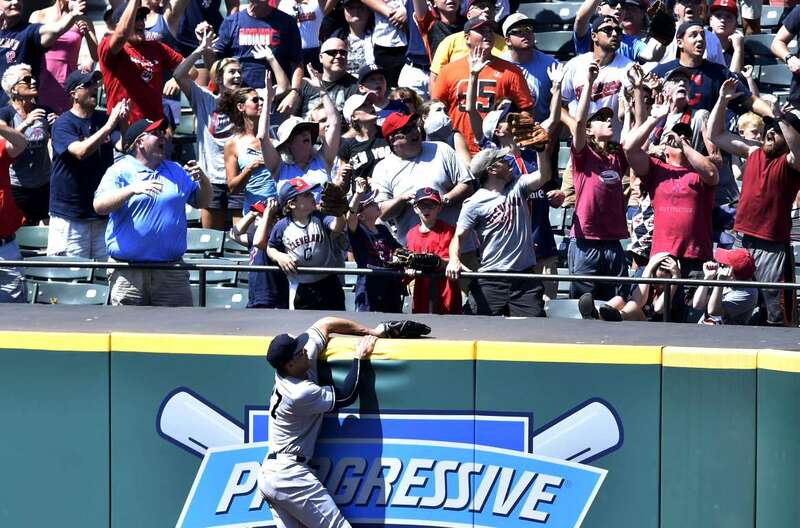 The Yankees' Giancarlo Stanton reaches for a solo home run by the Indians left fielder in the eighth inning at Progressive Field. 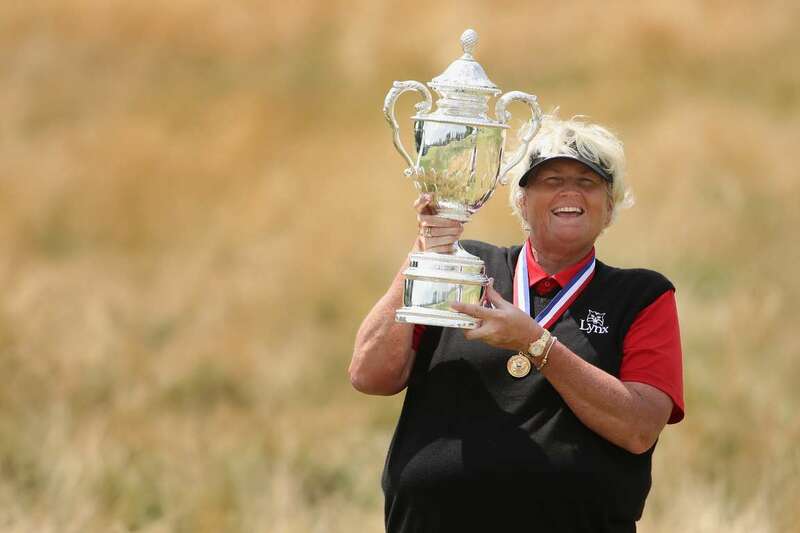 Laura Davies of England poses with the US Senior Women's Open trophy after winning the tournament on Sunday in Wheaton, Illinois. 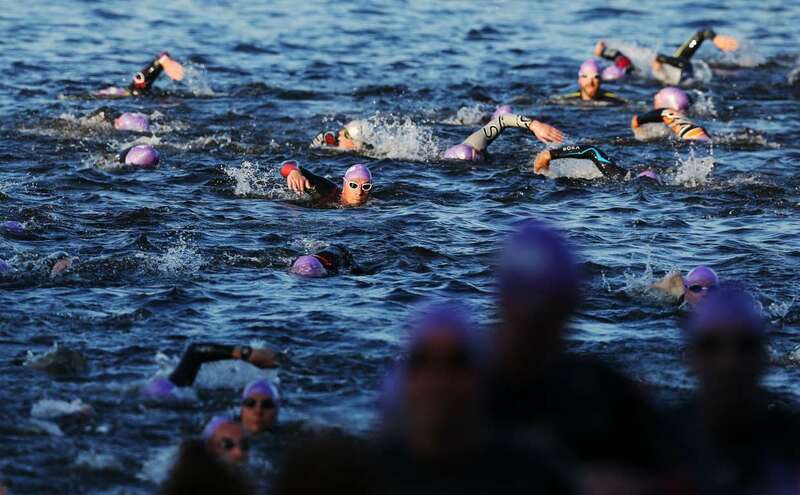 Competitors on their first lap of the the swim during the Iron Man Triathlon on Sunday, in Bolton, England. 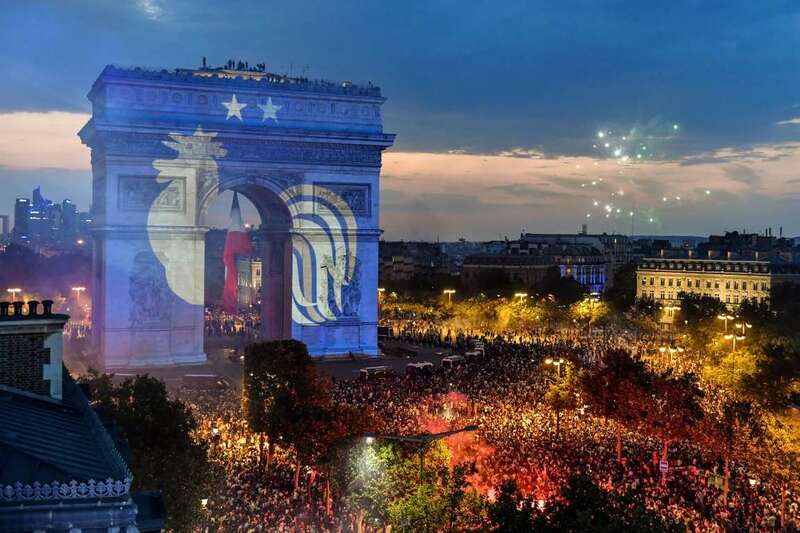 This picture taken from the terrace of the Publicis drugstore on Sunday shows a projection of the French national football team logo with two stars above on the Paris' landmark Arc de Triomphe. Orhan Okulu, left, wrestles with Saban Yilmaz right, during the Oil Wrestling Festival final in Edirne, Turkey, on Sunday.